Summer cosmetic colours for 2012 have to be definitely different from the makeup we have been using during the winters. It would be appropriate to say that the summer make up especially the summer cosmetic has to have few essentials for it to be perfect for the heat and sun being harsh during the day. With summer wardrobe and the dusted down summer clothes all you got to do it update and shuffle your cosmetic kit to have the perfect summer. 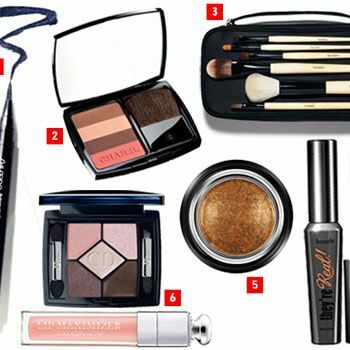 Give yourself a summer makeover with a nice updates with the cosmetic colours this year 2012. The first and the most important part of your summer makeup have to be a good moisturiser with an SPF factor of at least 15. This has to be the basics of applying the base in summers, the daily use of this moisturiser plus the sun block will help combat the early signs of aging such as sun spots and fine lines. The idea is to stay protected from the harmful UVA and UVB rays even on a cloudy day. Make sure the moisturiser absorbs well before you apply the foundation. With the warmer seasons, there comes a warm luminous face with just a hint of colour, with either a focus on the soft eyes with sheer pastel colours and well defined brows or the use of bronzer in summer cosmetic trends for the year 2012 to attain the sun-kissed glow on the cheeks and the eyes. The cosmetic colours summer 2012 takes on the bright vibrant colours of course but a bit toned-down shades of neon that were hot last summer. This time the summer cosmetics will be including the trends of smoky eyes with bronze lids. Without a doubt eyes can be lined with shades of green, lavender, silver and soft baby blues. A bare face with the focus on one part of the face; either eyes or lips or rosy cheeks are the cosmetic colour trends for 2012. The summer cosmetic colours take the chance to use the exaggerated blush, don’t forget to differentiate between the wintry flush and the summer cosmetic colour sun-kissed or burnished cheeks.